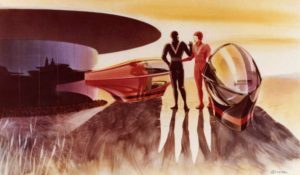 The 1960s was a period of great experimentation and innovation in art, architecture, aerospace, aircraft, and automobiles, in particular auto racing. Every form of motor sports showed incredible innovation, from NASCAR to Drag Racing, Formula 1, Indy Car, and Sports Cars. CanAm racing was incredible. There were no limits and one of the most innovative race cars was the Chevrolet Chaparral. 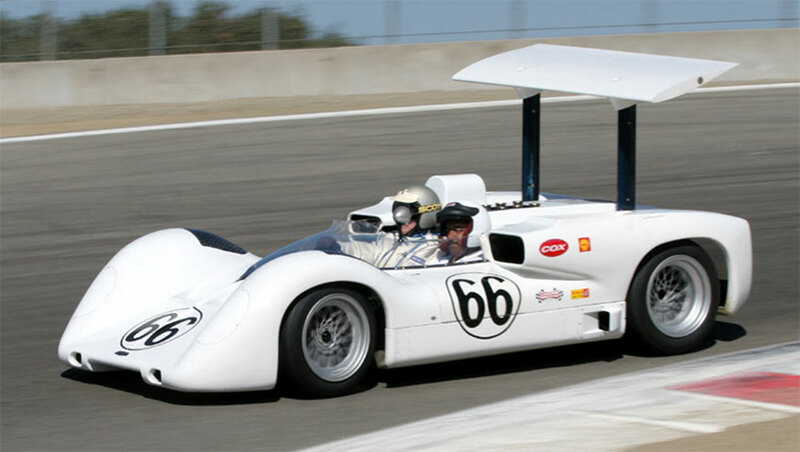 They were the product of a very secretive collaboration between Chevrolet and Chaparral Cars, a company owned and managed by the very creative engineer and race car designer, Jim Hall. At every race the competition and fans alike were surprised by Chaparral’s latest innovations in aerodynamics, materials, and race car design. Plus, they looked cool. As a teenager, I was constantly inspired by the innovation of Chaparral and I became a huge fan. We all had Hot Wheels, Cox slot cars, or Monogram model car kits of the Chaparral. 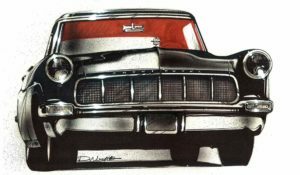 Jim Hall’s designs had an influence on me which was so powerful that when I applied for a job at GM Design, the most significant sketches in my portfolio were sketches inspired by the Chaparral 2H. 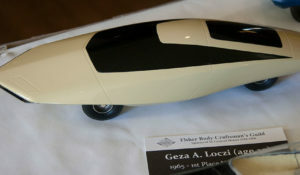 The 2H was not a successful race car, but from a design perspective it was significant. 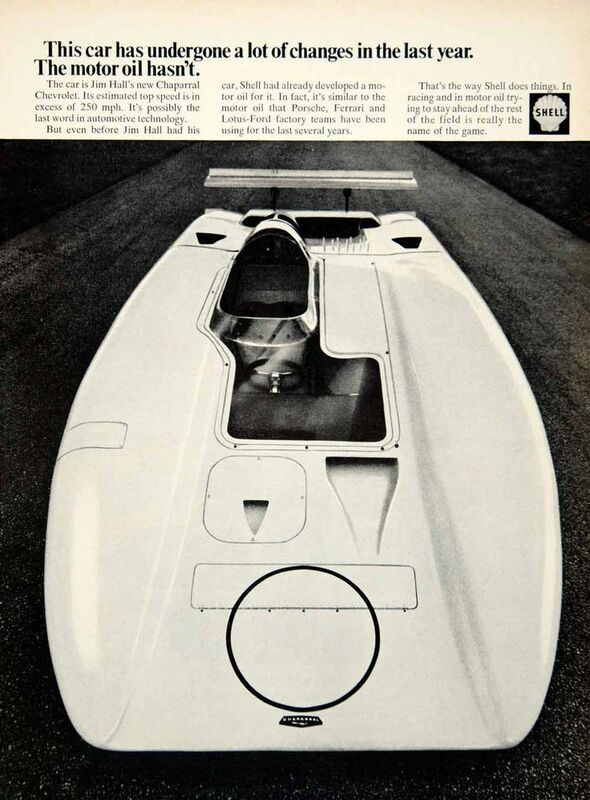 Who will ever forget the Shell Oil advertisement with a plan view photo of the incredible, space age Chaparral 2H. 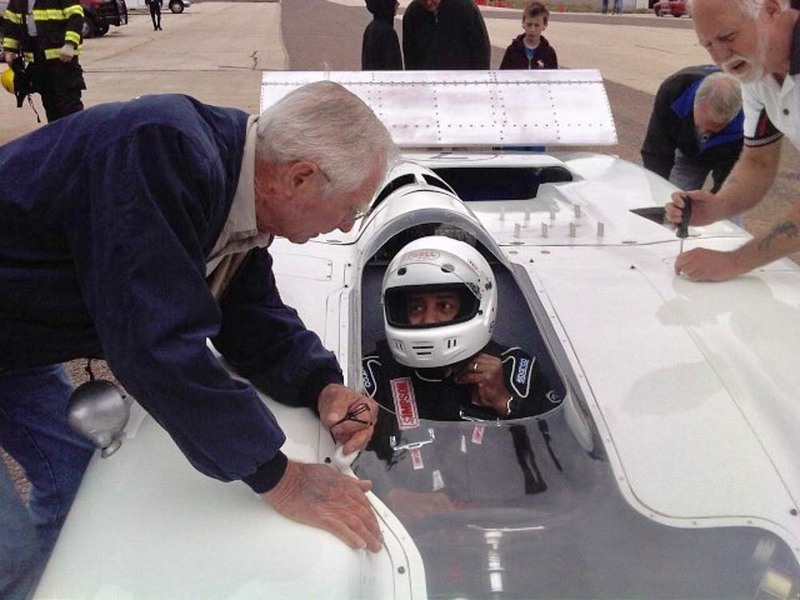 Years later when we were developing the Oldsmobile Aerotech high speed record car, those records, set in 1987 were set at a Firestone test facility’s 7.7 mile oval in Fort Stockton, Texas. Not an easy place to get to. You fly to Dallas, take a smaller plane to Midland, Texas, and then drive two hours to Fort Stockton. While the team was completing final prep of the record car, I was sitting on the pit wall with a guy who had delivered racing fuel. His name: Franz Weiz. Through our conversation I learned that he had been a mechanic with Chaparral Cars for decades and invited me to visit their shops in Midland on my way back to Detroit. This became my first visit to the home of my all-time favorite car. As I walked through the shops I was shaking with excitement, so much so that I dropped and broke my camera before I took a single shot. Franz took me on a tour of all of the buildings at the Chaparral Cars compound and the place was amazing. It had been decades since Chaparrals raced in competition. The fabrication shops and dyno cells were still, but the facility was alive with the spirit of Chaparral with all of the trophies on display and every one of those magnificent cars were there, ready to go. I then took my rental car out on the test track, the legendary Rattlesnake Raceway. What a thrill. I didn’t meet Jim Hall until a few years later at the Amelia Island Concours event. At that event there was a special gathering of Chaparral’s, all five Corvette Grand Sports, and GM’s Mako Shark, Manta Ray, and the ’59 Sting Ray Racer—Wow! My introduction to Jim was brief, but months later we met again at a special event at GM’s opening of its new Heritage Center. The morning following that event he and I met in my office at GM Design. The very same office where, over 40 years earlier Jim was introduced to General Motors through a meeting orchestrated by Bill Mitchell, VP of Design at that time. It was a very special occasion. Three hot laps at Laguna Seca with Jim Hall in the Chaprarral 2E. Since then, my friendship with Jim has grown. I attended the opening of the Chaparral wing of the Petroleum Institute Museum in Midland, Texas. The museum is amazing, with great lighting, materials, and the great Chaparrals. All of them. It’s a museum which everyone should visit. A couple of years later during the Pebble Beach weekend, Jim and I sat at the same table at the Rolex dinner. The next day Jim took me for three Hot laps at Laguna Seca in Chaparral 2E. I was the very first person to be a passenger in that car. 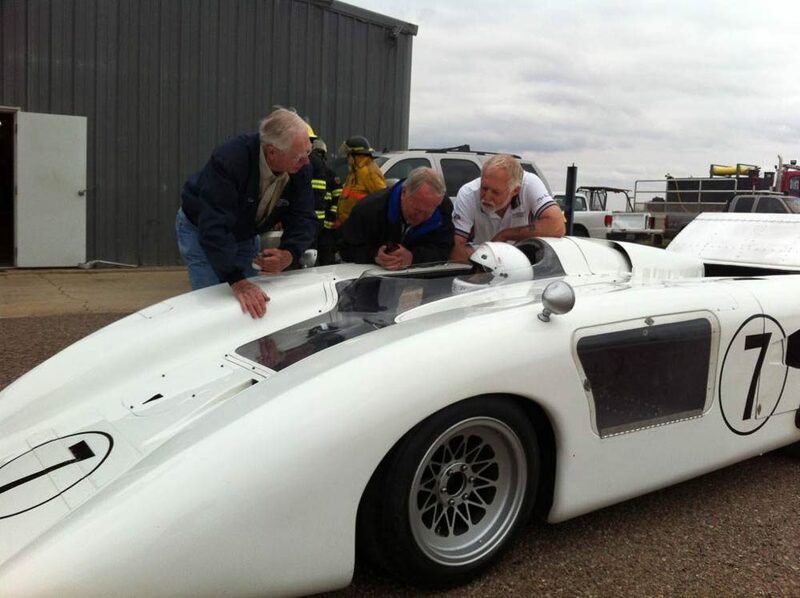 In the summer of 2011 Jim invited me down to Midland to drive the Chaparral 2H, a very important car to car designers. That weekend I drove the car of my dreams and had a great weekend, staying at the home of Jim and his wife Sandy. The stories that they told were great, but they are stories which should only be told by them. 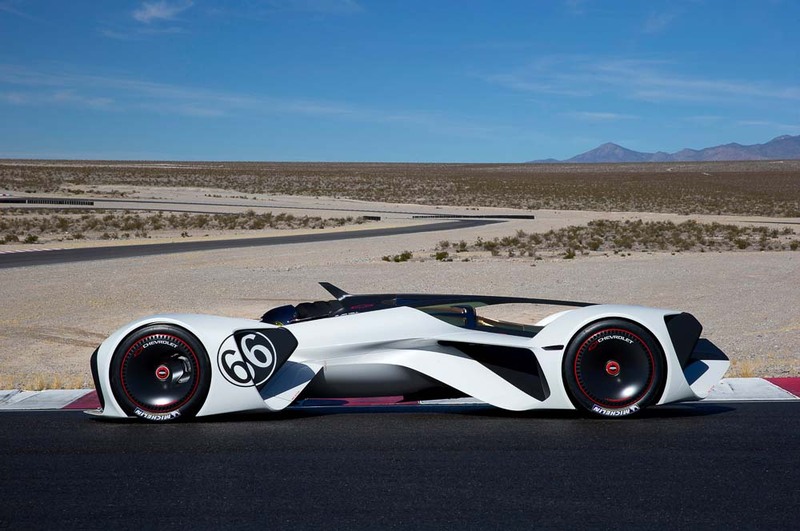 So when our Advanced Design team at GM, under the leadership of Clay Dean and Frank Saucedo wanted to create an extremely advanced virtual concept for Grand Turismo, we all thought that a 2030 Chaparral concept would be perfect. Jim Hall, who is always very protective of the Chaparral name, jumped at the chance and the Chaparral 2X GT Concept was born. Jim’s motivation was that this concept would be a perfect vehicle to connect young people with a career in engineering and design. During this projects development Clay Dean and Frank had multiple reviews with Jim. Today, Jim and I talk often, and I’m working with him on something special. 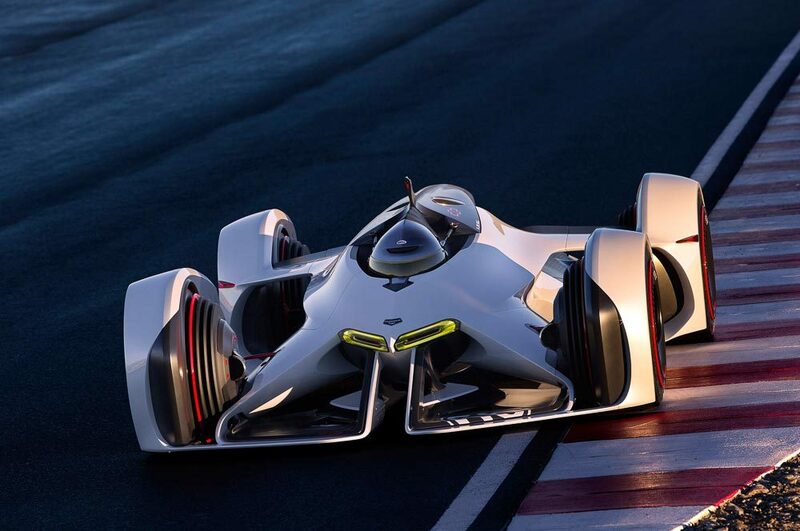 No, it’s not a new Chaparral, but something that I think you will all enjoy. In the process I have learned that there are far more fascinating secrets within the porcelain white skins of Chaparral. We don’t often have the opportunity to meet, let alone work with someone who you admire and draw so much inspiration from. I met Jim because of his great cars, but have discovered an even greater man and friend. The 2H was a radial design. Not only did it have a very slippery profile, it was a bit more narrow to reduce frontal area. It also had a very unusual suspension system. During the cars development, Jim had his huge wreck in 1968 at Stardust in the 2G and was not able to do the testing in the car which was needed. Hall hired John Surtees to do the development work and drive the car in the next season. 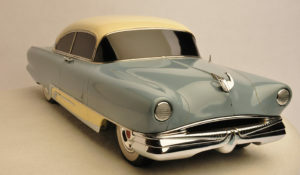 The car was originally a closed coupe, with a profile which had no interruption. Which is why the car had the side windows and deep windscreen. Surtees hated the car and demanded that a hole be cut in the roof and the seat raised. Hall and Surtees battled for months and the car suffered. It was a difficult chapter in Hall’s career, especially since the car had so much potential. Can you imagine if the car showed up to race in its original configuration? 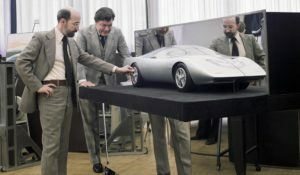 It looked much like the Pininfarina Modula and Bertone’s concept which were introduced a year after 2H. 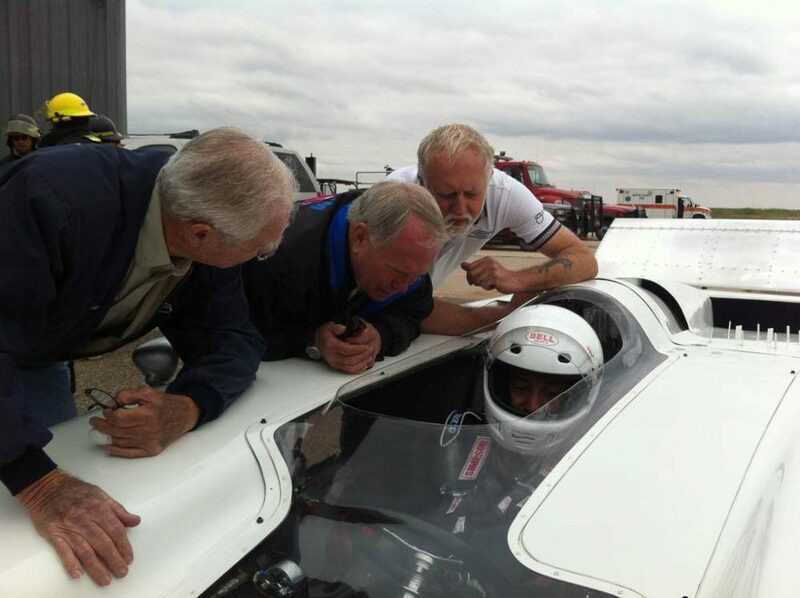 Ed drives the Chaparral 2H. From the Chaparral Exhibit at the Petroleum Museum, Midland, Texas post. In case you missed it. Excellent article! One minor quibble: it’s my understanding that the original engine in the 2H was a 430 cid, then switched to a 465 cid. The 494 cid engine had too much torque for the transaxle to cope with. Amazing article! Dean’s garage is the best!!! SIETE I MIGLIORI CIAO! Great story Ed. If I recall, I believe that Bob Larson, Larry Shinoda, and Dennis Wright worked on the 2H. Great article and nice video. 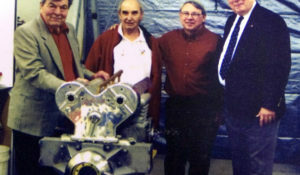 Jim Hall, Roger Penske and Hap Sharp changed the racing world forever with some help from Bill Mitchell, Frank Winchell and other from Chevrolet R&D and Engineering Staff. The 2H was worked on by Dennis Wright, a designer from GM Design when he worked for Larry Shinoda in the warehouse across 12 Mile Rd. He showed me sketches of several projects when we worked in Overseas Studio together. I hope the story about GM and GM Design’s involvement comes out as there is no reason to keep it quiet any longer. I know there is a new book being done with Jim Halls collaboration. When GM gave everything to Jim Hall they sent a very bright young engineer down to Texas with everything to act as a connection between Chaparral and GM. Mike Pocabello actually worked for them for three years, then returned to Chevrolet. Chaparrel was arguably the highlight of American racing history, certainly in the science of racing surpassing Ford and the GTs. I remember from inside Design hearing these very loud engine sounds coming from the direction of Chevrolet and the strange up and downshifts that we all talked about but could not understand. Later we found out. Thanks for posting, Ed. The intersection between Chevrolet R&D, GM Styling, and Chaparral Cars is a never-ending source of fascination. I’m sure the details of some of the interconnections have been lost to time, but what we do know of is remarkable, especially in the context of the complexity of working on these projects within the world’s largest corporation. 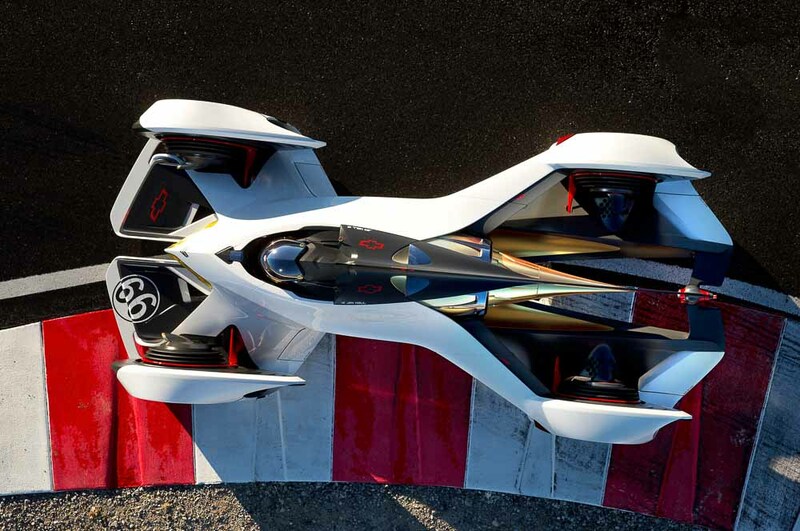 And, since you mentioned the Aerotech, I’ll gush like a fanboy and note that IMO it’s one of the best designs to come out of General Motors, ever. Great article on great cars and a great designer in the form of Jim Hall. I met Jim Hall and Ed Welburn when I was down in Midland for the opening of the Petroleum Museum. If there is a book in the works on the Chevrolet/Hall combined efforts I am already looking forward to it. Chevrolet Equals Racing? : Fourteen Years of Raucous Silence!! 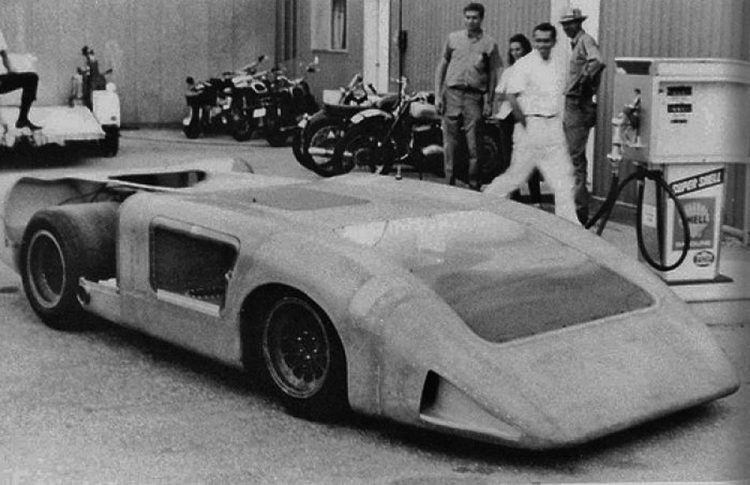 Chaparral must have the molds and know how to produce a 2H in original form to take to the proving grounds – or the salt flats – and RUN. Even in modified form with a full bubble canopy would be fast. Chevrolet, pony up. The 2H was my favorite as it was so advanced for it’s day. As a fan of Jim from the start, this car was the only Chaparral I was able to see during actual competition. It happened at the only Can-Am race to be held in Texas. The 1969 race was the first event at the brand new Super Speedway in College Station. This was my chance to see my hero in action. Surtees had just quit abruptly and gone home. Jim hired a journeyman driver to drive, who then stuffed it into the wall. I saw the car on a trailer on the way to the race in front of the motel. I still value my photo’s of the car on the tilt bed trailer, wrecked and with the big ugly wing grafted on as last ditch effort to get more speed. The crew were on their way home and the car was a no show for the race. I saw it again a few years ago at the museum in it’s more original design configuration. Such a pretty car that never got a fair shot to be developed. Mr. Welburn: We had a correspondence during the late-80’s/early 90’s after you autographed my really large poster of the A.J. Foyt Olds record car. I ended up being the receiver of some autographed drawings of some of your designs. I also was trying, to no avail, to wrangle a guest shot on network TV. We were going to meet at the Indy 500 (1992?) but as you later related a GM VP called on you and we missed each other. I had a book, Dream Cars, that I wanted to give you. 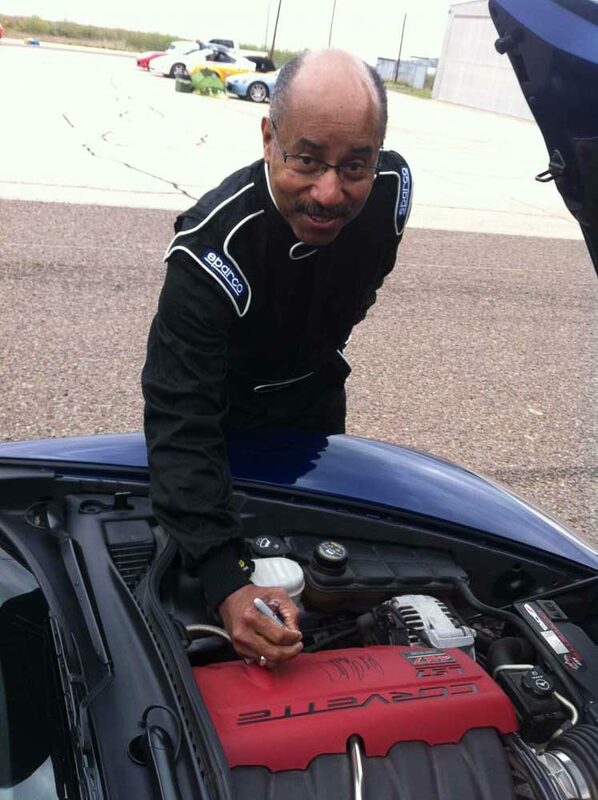 Fast forward I heard you were retiring and while looking through my library a note fell out of a book – “for Ed Welburn”. It was Dream Cars. I forgot I still had it. So I tried, and tried, and tried some more to get a mailing address for you. Finally I thought I got one. So let me ask: did you ever really get the book? I guess this had to be a “friendly” ride in the White Rocket”, but I’m afraid I’d have “slipped” and given it some gas, just once…..hard on the gas. Wow, I can’t imagine. Compare the CanAm series of 50 years ago to NASCAR. One had, at least initially, no overbearing rules – build the best you can and let the innovation flow. The result was an explosion of creativity like seen in Hall’s Chaparrals and Bruce McLaren’s “Orange Elephants”, which were so dominant in the series, resulting in the fastest race cars in the world at the time, bar none. The other series: rules up the ying yang, resulting in stagnation and boredom. Read the recently-released book, CanAm 50th Anniversary, an excellent combination of rare photos from the series from its inception to its demise, along with an incredible text that makes the series and the racer-builders like Hall and Bruce McLaren come alive. I had the good fortune to attend the 1969 Watkins Glen CanAm and the 1970 Mosport CanAm, held just weeks after the tragic death of Bruce McLaren testing one of his cars. Replacing McLaren driving for Team McLaren was Dan Gurney, who won the race, joining teammate Dennis Hulme, who came in third. What an amazing time. Sadly, Dan Gurney passed just last week, a legend of motorsport who will never be matched – just like Bruce McLaren. Agreed 2H was pretty but it was possibly Jim’s worst aerodynamic concept proven by the need to add a huge wing to keep it on the ground. It was a short fat airfoil wing with more lift than down force. I’ve read everyone who drove it hated its handling. That journey man you mention who wrecked must have been Tom Dutton forgiven because he had Tom build his BEST design, the 2J, maybe not his best aesthetics if you don’t agree that form follows function making it the quickest potential car ever built. Tom drove his home built, financed and driven Lola Caddy at Mosport with an air cleaner vs the McLaren sand sucker down pipes when i was amateur filming him there. Jim hired Tom to his Chaparral team for his well rounded race car talents. Great stuff Ed and others! The Chaparrals are indeed awesome. Great to see the 2 being driven on the same Tech Center roads where I used to demonstrate the Sting Ray racer to Bill Mitchell’s guests! Nice comments about the 2H but it never would have worked, even in its original form. The Chevy guys could never figure out why Jim went for an all-out low-drag form when they had worked out together that it was downforce that won races. FYI there’s also my book about the Chaparrals from Iconografix.